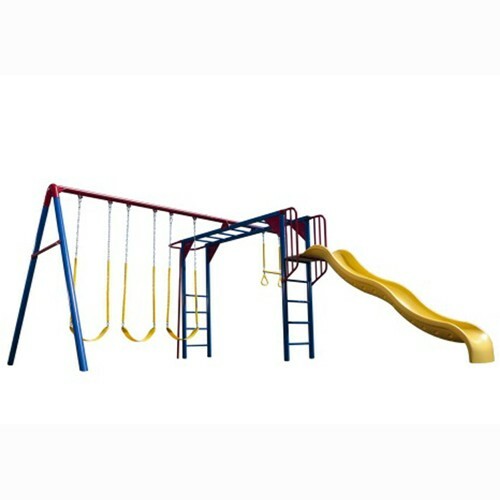 Lifetime Monkey Bar Adventure Swing Set - This durable swing set features 3 belt swings, 1 trapeze bar, 9' wavy slide, monkey bars, and a fireman's pole. This model comes in primary colors (red, yellow, blue). 5-year limited warranty.